Remove freeze plugs from skimmers and return inlets. Reconnect pump and filter equipment. 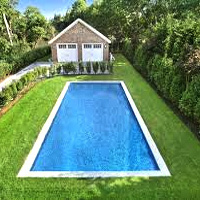 Backwash pool, brush walls and tile. Test water for proper chemical balance. 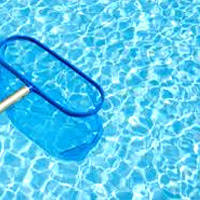 Inspect pool, deck, filter equipment and list any repairs needed. 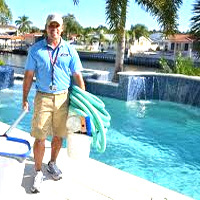 *Solid Covers must be drained and water level ½ way up the skimmer before we arrive. Draining + cleaning costs are $75.00 / ½ hr. An additional charge will be applied if an extra trip is required. Backwash filter, brush walls and tile. Remove skimmer baskets and wall returns. Remove ladders, gauges and chlorinators. Remove drain plugs from lines, filter, heater and pump. Grease exposed plugs, bolts and fittings. Turn off gas line to heater. Blow H20 out of lines and equipment. Turn off outside electrical breaker box. Make list of needed repairs. *If we provide freeze plugs, add $5.00 each.